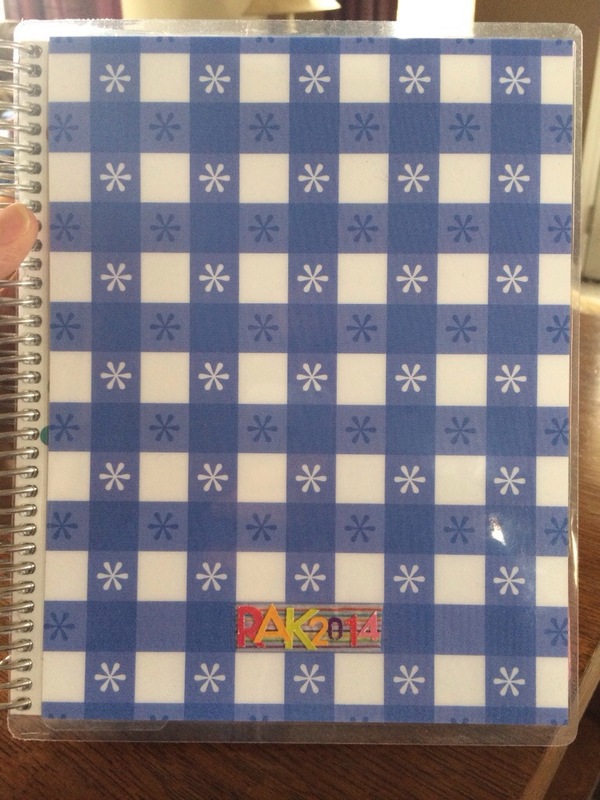 The RAK program is so popular it needs its own planner to stay organized! I saw a post for a used planner for sale and literally bought it in 30 seconds flat! It arrived in a few days and I put it immediately to use keeping track of all the RAK requests and anything else of interest from the Erin Condren groups. Here is the planner as I received it in the mail. 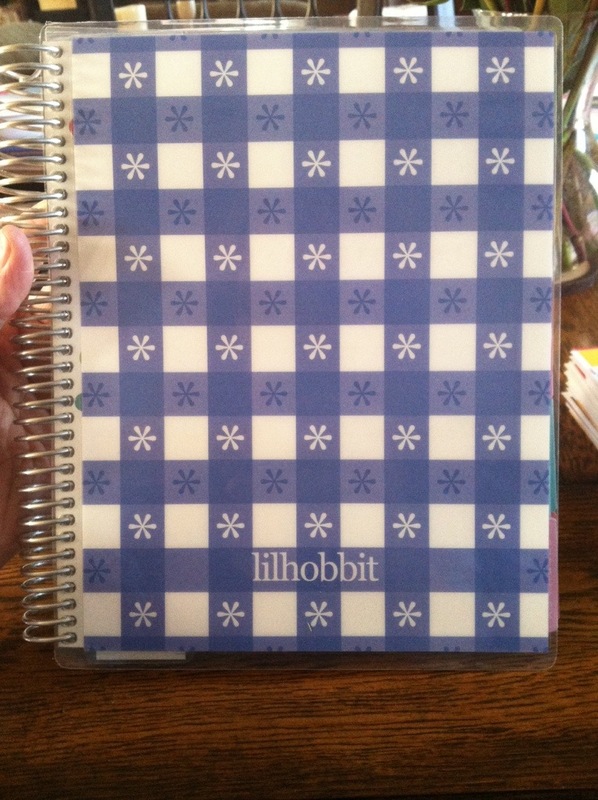 The cover is a soothing Cornflower Blue in the Gingham pattern with minimal customization. 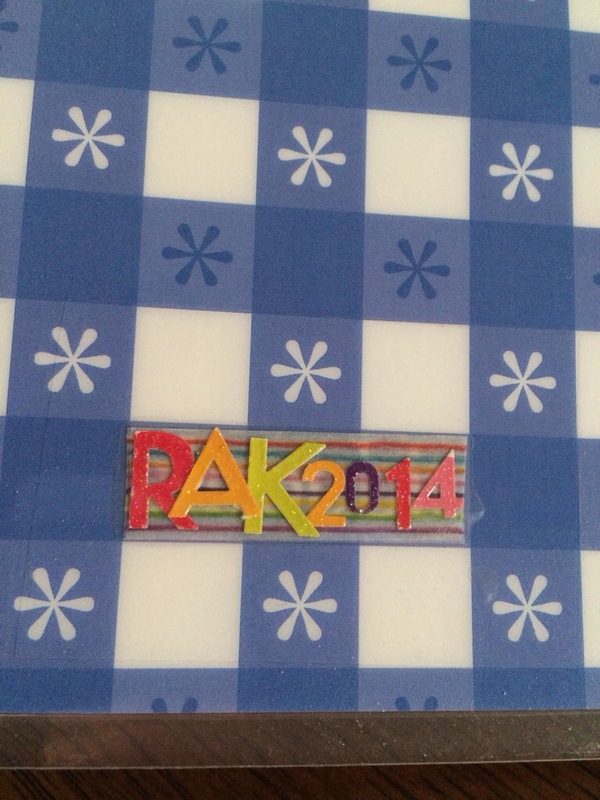 I tried several things to cover the name but finally just ended up using my favorite pin stripe Washi tape and some cute ABC stickers to write “RAK 2014”. 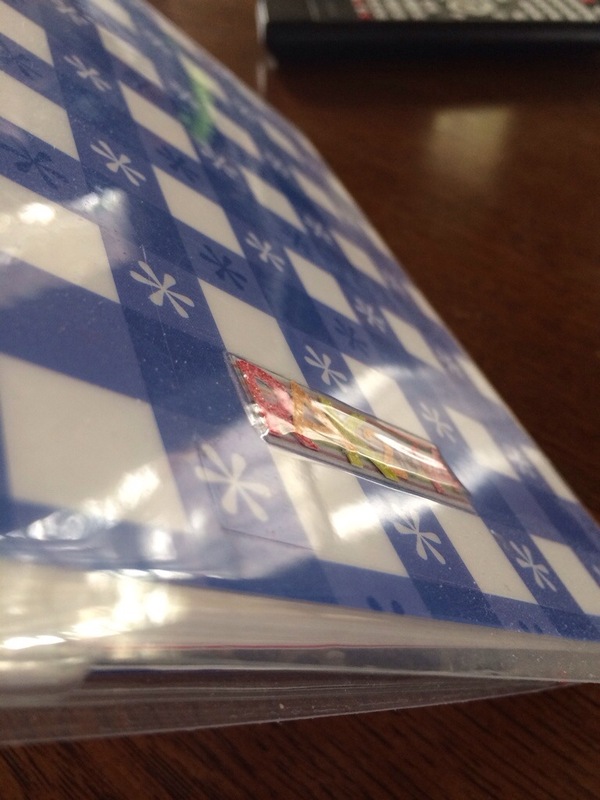 To protect the stickers and keep the Washi from peeling, I put a small piece of clear packing tape over the area. You can just barely see the left bottom corner of the packing tape in this next photo! 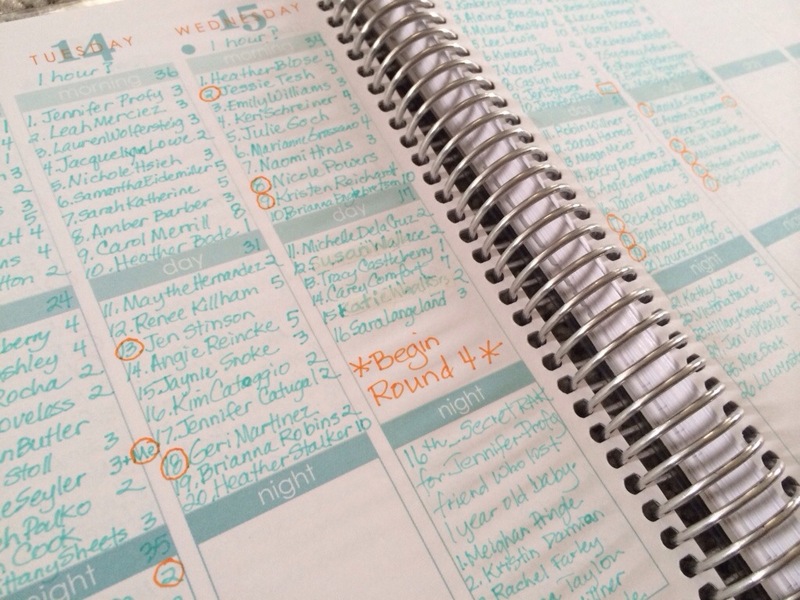 A person would have to look REALLY HARD to see the packing tape, so it is a good option for protecting any decor that might be added to a used planner to cover the other person’s name. On the inside, I used complimentary colored pens to keep track of RAK requests, new people, international requests, and notes about anything that was necessary to remember in managing the various Erin Condren groups that I started. I was giving out between 300-400 names weekly, so there was a lot to jot down!! This little “used” planner (though it was completely brand new), has and is totally serving its purpose. I think the cover turned out just fine and I am grateful that I found a used one that I could purchase for this purpose! I’d like to introduce everyone to my new Facebook group, named after my blog, “My Erin Condren”. I really wanted to create a space on FB for a group that focused exclusively on the Erin Condren brand. The group is for motivation, inspiration, and encourages productivity, and creativity as you integrate Erin Condren products….Planners, Notebooks, Functional Family, Notepads, Notecards or even her Candles or Body Butter (because everyone deserves a little pampering) into your daily lives. If you’re looking for a group to join where we talk about all things Erin Condren, “My Erin Condren (MyEC) is the place to be! You can join HERE!